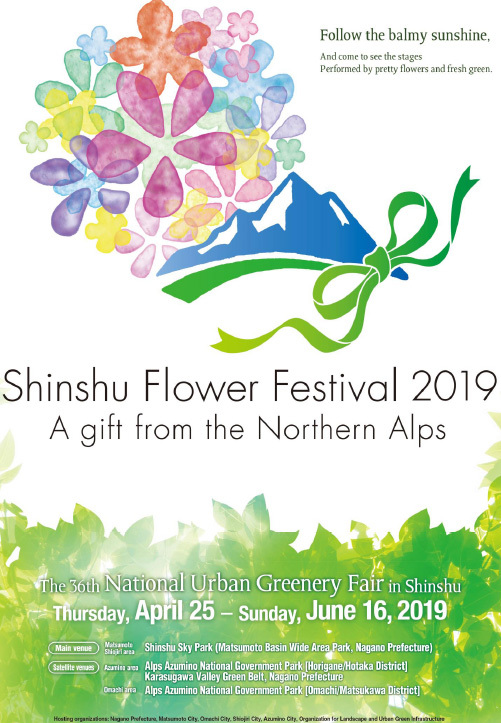 Shinshu Flower Festival 2019 ~A gift from the Northern Alps~ – Explore Azumino! This spring, National Urban Greenery Shinshu Fair will be held for the first time in Nagano. Azumino will be colored with a lot of flowers. Why don’t you visit Azumino to see the scenery of Northern Alps with beautiful flowers?